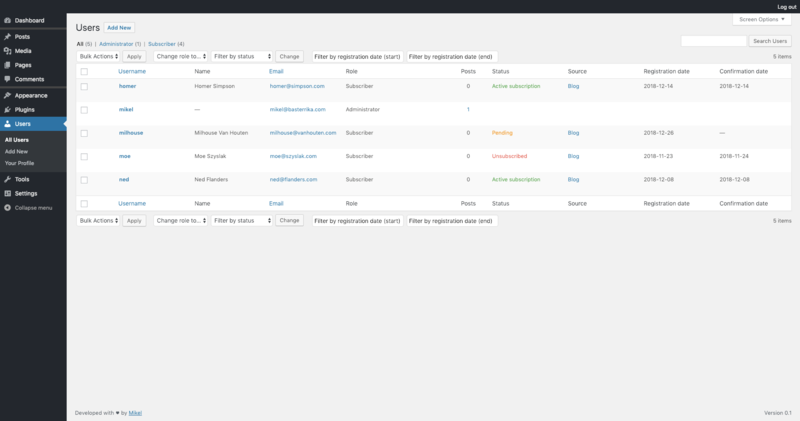 The perfect plugin to manage subscriptions via email from your website. Most of the solutions available for capturing emails are usually very complicated options to implement and maintain. In addition to very expensive, with monthly subscription plans, etc. Thanks to MKL – Emails you will save money and time since it is a single payment solution with no additional costs. To test the form by yourself you can do it here. Remove yourself from features you do not need, which only slow down your website. Control at a glance all the information that interests you. Your data is always with you. The information that you collect from your readers, thanks to this plugin, will be saved in your database and nobody but you will have access to it. Export the information of the users with a single click. Exports all the relevant information of the registered users or only of those that you need. 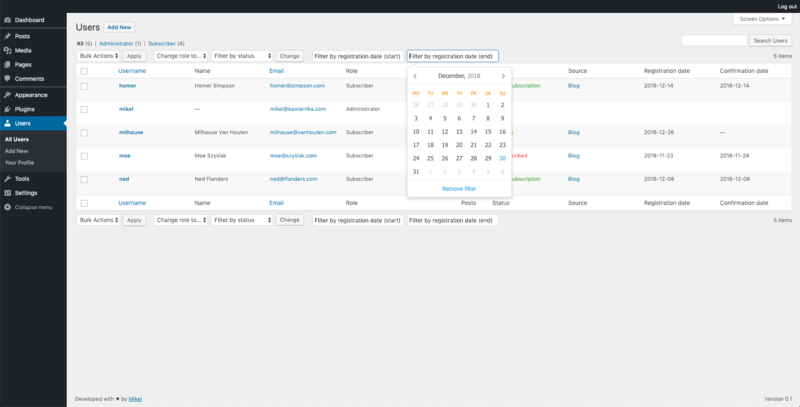 You can filter which users to export according to their role, subscription status, the origin of their subscription or those that are within a specific range of dates. 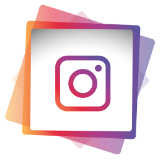 The filters can be combined to export just the information you need. 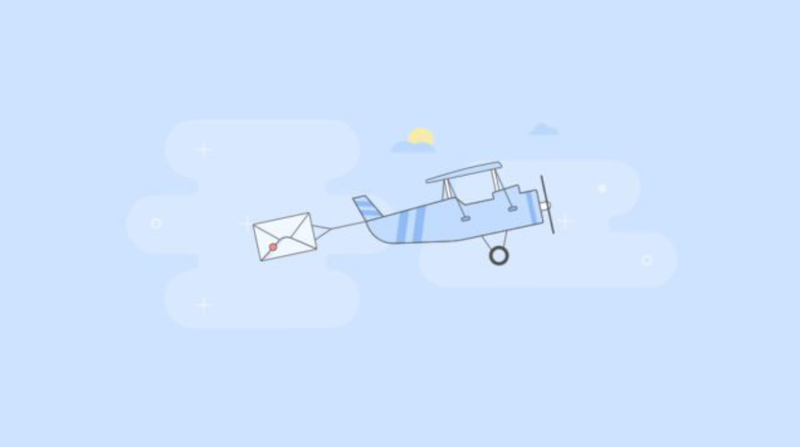 You can send emails in bulk every time you need to communicate something to your audience. In addition, you can choose which subscribers will receive the notice depending on the state. It is not the same to send an email to someone waiting to confirm the subscription or to someone who has already subscribed. Just make your life easier. Once you have installed the add-on, go to the users' table, and you will see that you have new powerful filters. Filter the subscribers by their status, origin or by the registration date thanks to the integrated date selector. 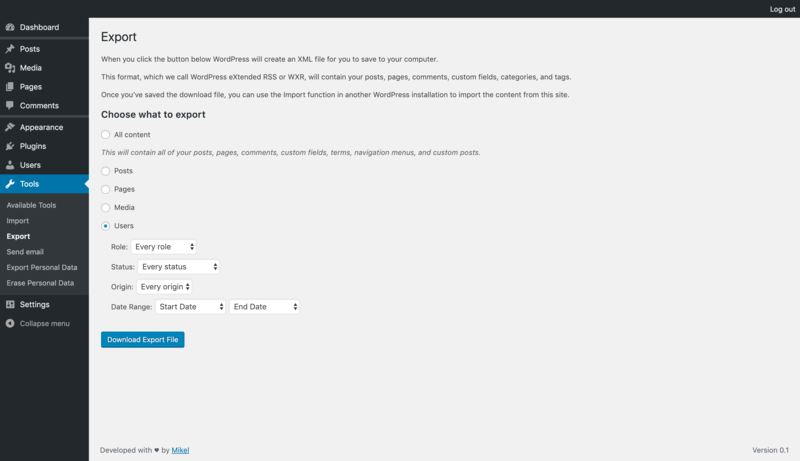 The plugin includes a form via Ajax which is very customizable. Choose the text of the button, change the placeholder, the checkbox phrase, etc. In principle, the form adapts to the styles of forms that your theme has, so you will not have to deal with CSS. If you have the Visual Composer plugin, you will have at your disposal a module with which everything will be even easier. 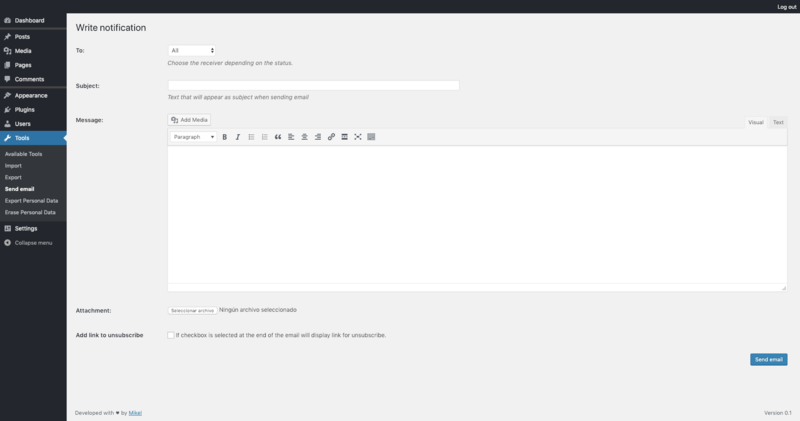 If your theme supports widgets you can add a form anywhere they can be added. The forms are totally responsive so do not worry about the space. These will adapt. All the strings are located so that they can be translated very easily to the language you want. - Select a page of your website to redirect the user once confirmation of the subscription via email is accepted. 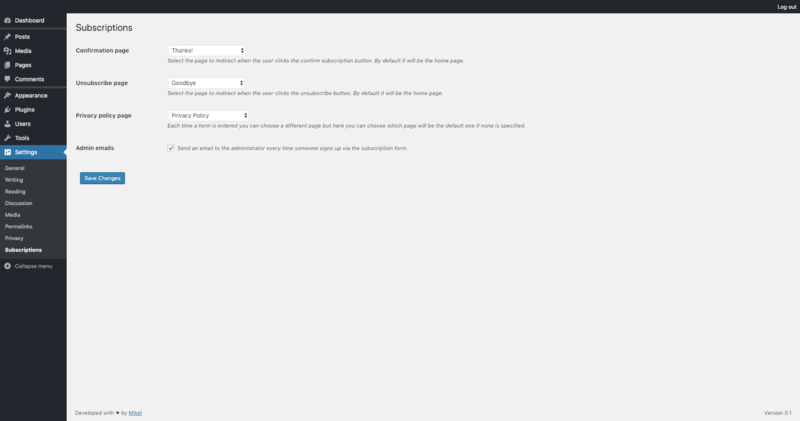 - Select a page of your website to redirect the user when a subscription is canceled. - You can receive alerts via email each time a user subscribes to you web. Forget paying monthly for an expensive service that offers features you do not need. 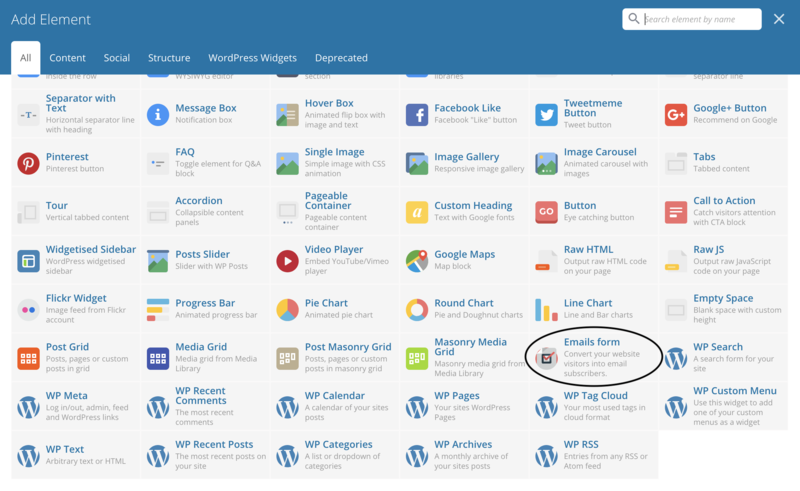 With MKL - Emails you have everything you need in your WordPress installation and without having to depend on third party services. Support* for incidents via the market forum where you purchased the plugin. The plugin will continue to receive updates to stay ahead and offer the highest quality. *Within the support does not include the realization of tailored features. *For the correct functioning of the plugin it is necessary to have at least PHP 7 running the server.